Flash Frontier: When did you start writing, and what attracted you to poetry? Rethabile Masilo: I started reading a lot at a very early age. All my siblings did. Our mom was a primary school teacher and our dad was a journalist, so there were always books and newspapers in Lesotho and in English floating around. We read everything from Enid Blyton to the biographies of political figures. I began writing short stories when I was in high school, in the mid-seventies. Our English teacher one day asked us to write a story for a class competition. I won, and he acknowledged it in front of the class, but later asked me where I had copied the story from. I stopped writing altogether, until he was replaced by a lady teacher who introduced us to poetry. She read it so well that I was hooked – and still kind of am. FF: Your four books are titled: Things that are silent, Waslap, Letter to country and Qoaling. Can you tell us about those titles, and the meanings behind them? RM: “Things that are silent” is a line in a poem about Michael Jackson. The poem is called Mr. Jackson and is in that book. “Waslap” means ‘washcloth’. Among my people, when a father passes away, his sons get to choose from among his belongings. When my dad passed away in 2010 one of the first things I chose was his waslap, which I took back to Europe where I live and washed myself with it. The emotion of doing so yielded several poems, one of which is called The waslap of my father. The title of the book came from there. “Letter to country” is also the title of a poem in my first book. When I was working on my third book, people started getting shot in Lesotho, including Maaparankoe Mahao. I decided that the book would be dedicated to Lesotho and that a few poems in it would speak about what was going on: I wanted to write a letter to my country. As for the last book, “Qoaling,” it got its name from the name of the suburban village we lived in when we were attacked by elements of the government in 1981. The attack, I need to say, has continued to shape my expression as a poet writing out of exile, first, and now writing as an out-of-home-country resident. FF: How accessible should a poem be? How hard should a reader work to ‘get’ a poem? RM: It is true that some readers think of poems as tools the author uses to hide some meaning in, and for the reader to find the meaning. I tend to mostly disagree. I somewhat agree because poets do have tool such as metaphors and similes and rhyme and rhythm and assonance and alliteration, which help to accentuate meaning by, instead of saying things, making the reader feel them. But I disagree because a poet’s raison d’être is to convey feeling: fear, love, hate, joy and so on. As a result, the easier a reader is reached, the more successful a poem is, the more successful any piece of writing is. But the reader must make sure the reader is indeed reached. Robert Frost’s “No tears in the writer, no tears in the reader. No surprise in the writer, no surprise in the reader” sums this up well. In other words, this is how the writer knows their poem is meaningful and strong: it makes them tear up, or laugh, or love, or hate. 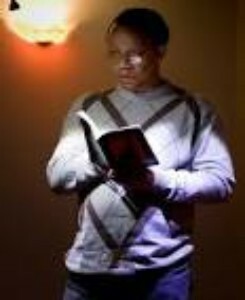 FF: Who are your favourite living poets? RM: Many. Here is a reduced list: Rustum Kozain, Geoffrey Philp, Pamela Mordecai, Kwame Dawes, Warsan Shire, Billy Collins, Ruth Padel, and Derek Walcott (who passed away a few years ago but can’t not mention). These, and others, are poets whom I turn automatically to, and cannot read enough of. Among them, and usually individually, they embody everything I like in poetry. They are my mentors, so to speak. FF: What advice would you give to someone who would like to write and publish poetry ? RM: Reading widely is of the utmost importance. I usually say that 70% of writing time should be devoted to reading. This feeds the poet with sounds and with how sense can be made out of those sounds. And reading is just plain fun, which does help the writer to develop their own voice since little by little they discover what kind of reading reaches them. I used to carry a note book. Today I use a notes app on my phone. I write what strikes me as cleverly said, as colourful language, as musical, etc. – a line or two or three. Recently I dictated a poem into my phone and got home elated that I had written a whole poem on my commute from work. Although some may call this kind of thing inspiration, I call it being prepared. Many poems will have to be tweaked and revised – grueling but necessary work. Once a poem sounds ready, it’s time to try it out at an open mic event. I was lucky that in France I was welcomed by Spoken Word Paris and Angora Poets. That’s where I road-tested and still road-test many poems that end up in my books and in anthologies. On the way home, after a reading, I tweak. 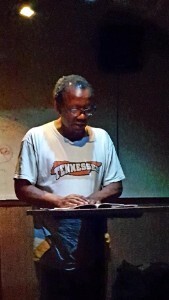 A live reading tells me where the tongue stumbles and where the audience gets lost. Then the poem needs to be submitted to a magazine. FF: How do you know when you’ve finished writing a poem? Billy Collins, on the other hand, says many of his poems get done in one sitting, and that if they don’t, he usually discards them. darkening the water with his mood. when there for work once, a belt. sternum and chest down to the legs. which are too big for me to wear. out loud while looking at each other: “We forgive”. I think of sanity, in light emanating from her eyes. moved over my mother’s and found peace in that. and by her calendar, when we’re in her presence. all look like each other, and yearn to take after him. returned to her arms for the first breakfast of our lives. Rethabile Masilo is a Mosotho poet who has lived in France for more than 30 years. He left his country as a refugee in 1981, eventually ending up in the USA where he continued his biology studies. He moved to France in 1987. Rethabile has published four books of poetry and two poetry anthologies. In 2014 his poem ‘Swimming’ from the book Waslap won the Dalro First Prize in poetry and the Thomas Pringle Award for Poetry in Periodicals a year later. The poem had first appeared in New Coin, Vol. 49 Number 1, in June 2013. In 2016 his second volume Waslap, published by The Onslaught Press, was awarded The Glenna Luschei Prize for African Poetry. That same year in October Rethabile was invited to participate in the 20th Poetry Africa Festival in Durban. 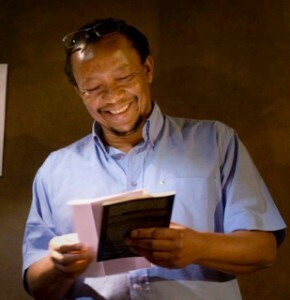 Masilo’s books are Things that are silent (Pindrop Press, 2012), Waslap (The Onslaught Press, 2015), Letter to country (Canopic Publishing, 2016) and Qoaling (The Onslaught Press, 2018).